We got a removal alert from Google Play saying that AirDroid violates the Content Policy, due to using the trademark of WhatsApp. However, Google soon re-reviewed the request and found it was a mistake and reinstated our App then. 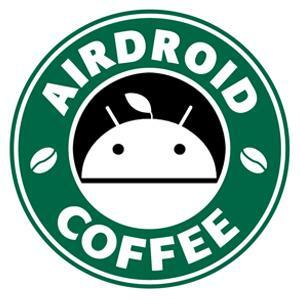 As Google has reinstated our App, AirDroid will be available on Google Play soon. Re: [Announcement] Why AirDroid is Missing from Google Play on 6/24/2015? AirDroid is the first app that allows users to receive and reply to notifications of various mobile IMs (including WhatsApp, Facebook Messenger, Kik, Telegram, more are coming soon) from Windows and Mac clients. All the features are realized via standard APIs. To help people understand these features, we need to mention those relevant brand names in our app description. We believe this falls under fair use. We appreciate that Google re-reviewed Facebook's request and reinstated our app in a relatively short time (about 40 mins). But we hope Google can improve the way they handle such cases, so that we don't have to manually publish the app to Google Play again in order for it to be visible to users, as it's not our fault and we have not infringed anyone's trademarks. We also hope Google can give developers some kind of pre-notice to respond before making the final "removal" decision, especially considering some trademark infringement allegations can simply turn out to be false and excessive.